J.D. Sport can take your ideas or concepts and create screen print and embroidery images for all of your sportswear, corporate apparel and accessory needs. If you can dream it, we can prepare the design to be added to most any item. 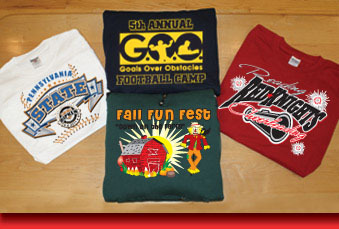 Call our experienced staff to ask about custom design solutions that include embroidery, screen printing and appliqué.